MC 3C is designed for light, general cleaning tasks and is the ideal choice for tradesmen, small building companies, small garages and farms. 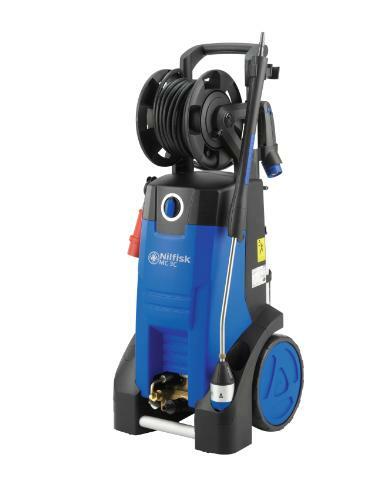 This range is equipped with a professional 2800 rpm motor pump unit with stainless steel pistons for light cleaning tasks, developed for low to medium intensity use. This range of machines brings a clear reduction in the total cost of ownership for our customers, which has been a key element in our strategy. The MC range of pressure washers increase cleaning efficiency on average by 15%. Thanks to the external detergent injector system, the real working pressure at the nozzle is increased and the cleaning time can be reduced by up to 15% - and this saves labor, water and electricity costs!